After the relentless hype about the new TV show Smash on NBC, I tuned in expecting to see some singing and dancing (it’s about the making of a Broadway musical). What surprised me was how great all the sets were. I especially liked the glimpses we got of Julia’s (Debra Messing’s) townhouse, but Tom and Derek’s places weren’t too shabby, either. Jack Davenport plays Derek Wills, the not-so-nice director hired for “Marilyn: The Musical.” He’ll always be Steve Taylor from the hilarious British sitcom Coupling to me, though. Katharine McPhee plays a young actress who auditions her best “Happy Birthday, Mr. President” for Derek. Personally, I don’t see her as Marilyn at all, but we’ll see if she can pull it off in weeks to come! 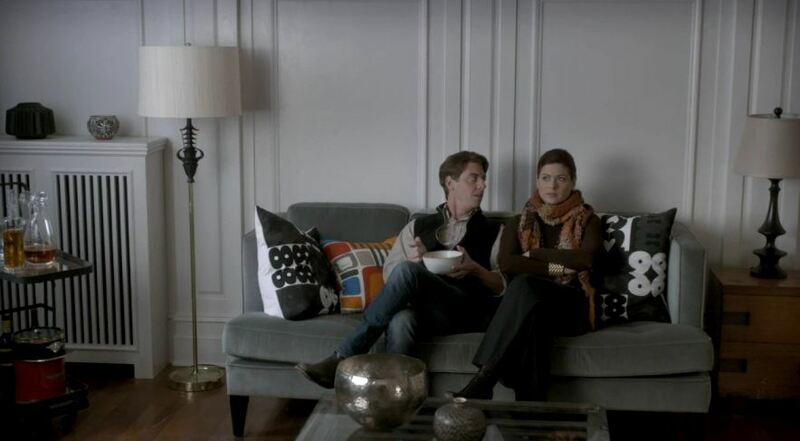 Christian Borle plays Tom, Debra Messing’s writing partner. If anyone has any info on the filming locations, fill us in! The Production Designer for the show is Cabot McMullen, who is also credited for working on another one of my favorites — Cougar Town. 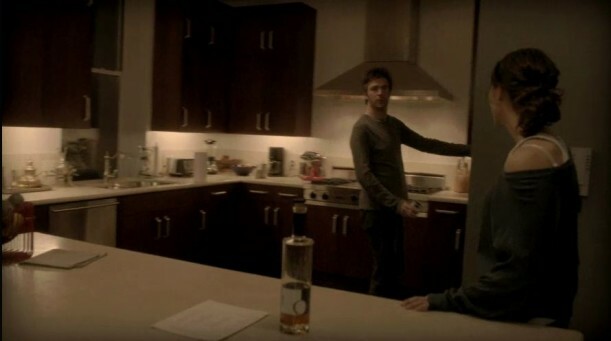 I’ll be watching Smash to see more of these apartments–and to follow the drama. Will you? What do you think of the show so far? 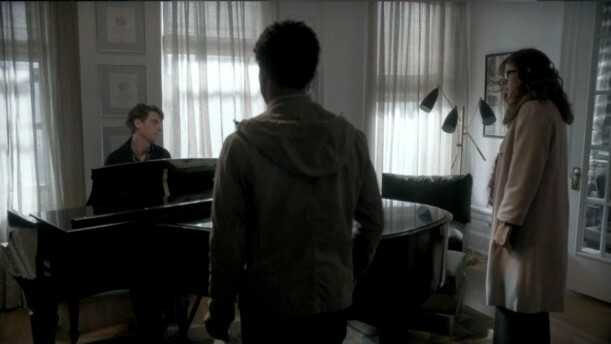 You can still watch the first episode online at NBC.com if you missed it, and the second episode airs tonight. 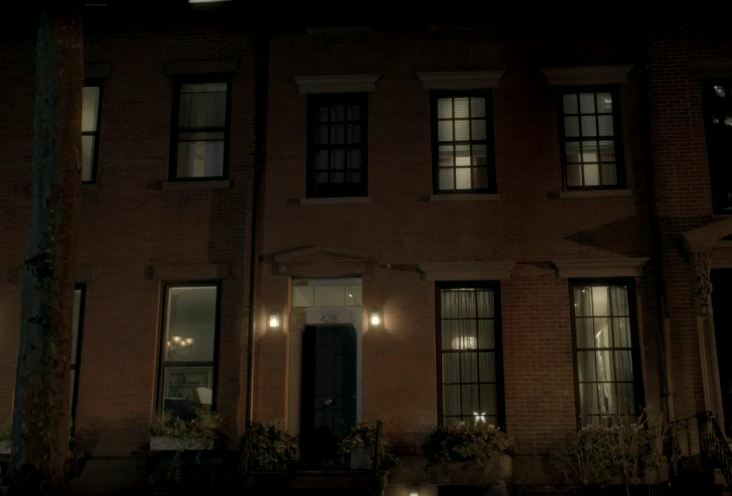 The Victorian Farmhouse in the Sitcom "Hot in Cleveland"
I have this on my dvr…. 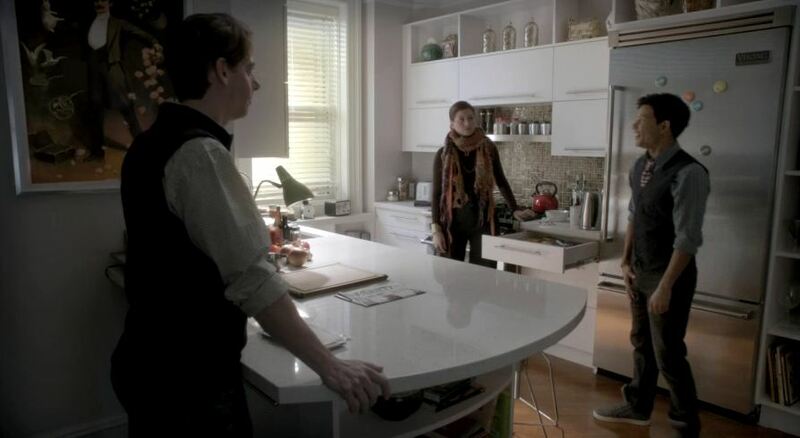 have not watched it yet… but you know I love a show with good interior sets! Outstanding and current as usual Julia! I saw the pilot and I loved it! And you’re right Julia the sets are great! I like musical TV shows I know it is not for everybody, but the story is smart ! it’s more than just a story about success ,it’s about family and life and the acting is very good! Thank you Julia!love the post! 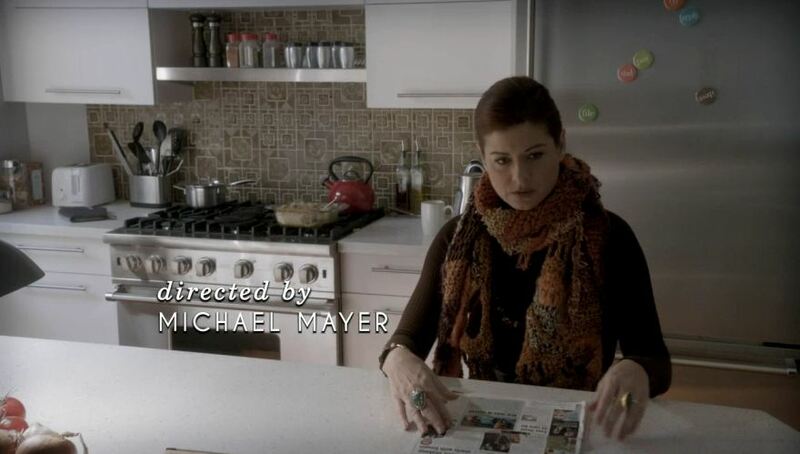 I loved seeing Smash and agree Julia, the sets, living spaces are wonderful! Unexpected actually! This is really cool. I haven’t seen it and I’m happy you did this post. It’s great, Julia! I’m impressed w/ some sets they’re making lately. Just beautiful! I love all 3 kitchens! I’m not sure if I can stand to be sucked into another show…well, who am I kidding, I love being sucked into new shows. Great post! I DVR’d the show and finally got to watch it on Friday. Loved it! I think Tom’s kitchen is amazing–love the backsplash. I don’t see Katharine McPhee as Marilyn at all (!!) either, except maybe for her hair cut…and I think she looks better as a brunette. 😉 I thought the other girl that was trying out for the Marilyn part looked more like the character. 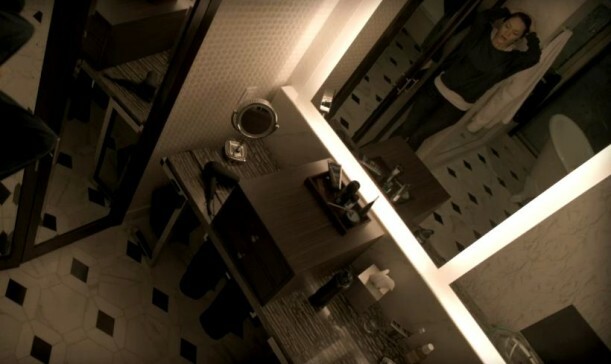 Pleasantly surprised by the sets in this film!! 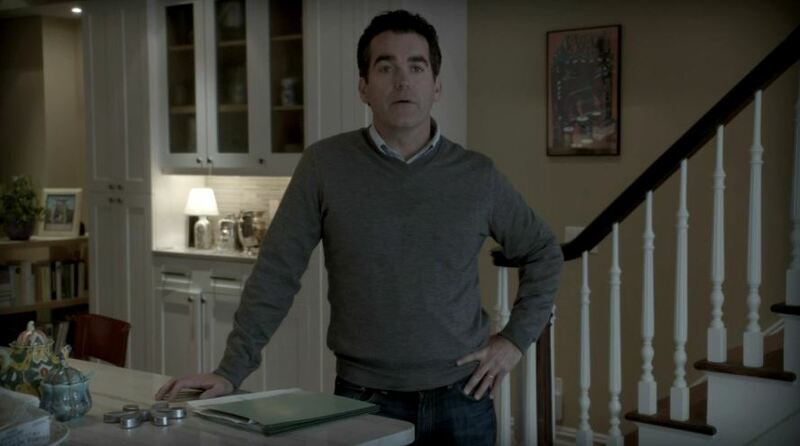 And where else have I seen Jack Davenport?? Pirates of the Caribbean, maybe??? That’s right–he was in “Pirates,” too! Ever watch the UK’s Coupling? Someone gave me the first season on DVD. Hilarious. yay, I’m so glad you did this one. The show was ok, but the sets were great. 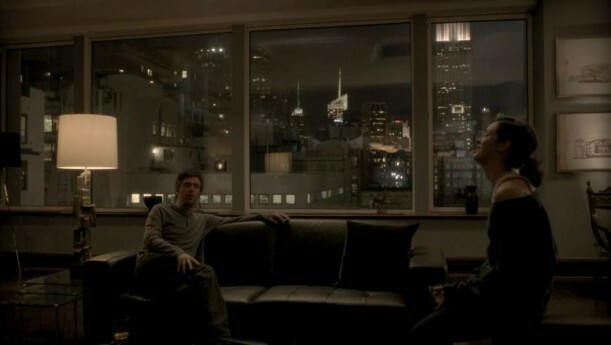 And I’ve been wanting the apartment from Wall Street 2 which is Jack’s apartment! I knew I could rely on you! I saw the repeat last night and thought, “Who cares about the show. They have great interiors!” I live in Manhattan and the one thing that caught my eye was the “240 Riverside Drive” shots when they’re getting out of the taxi. They are actually in front of The Grinnell Building at 800 Riverside Drive and 157th Street on the Upper West Side of Manhattan. (Google map the address and spin around and you’ll see the house that’s in the shot behind them.) The Grinnell is a fabulous old building, so perhaps the apartment is in there. i used to live on riverside drive off of 181 Street. isn’t 157th technically washington heights? or harlem? you get more space up there b/c the buildings are so old and no one wants to be so far from the city center. Perhaps a long time ago that was the case, but the apartments on Riverside from 155-158th are quite desirable. They are well-maintained gorgeous, pre-war apartments with doormen. Sales in The Grinnell are from $600k-$2 million and many who live in that little enclave, called Audubon Park, work at the hospital (Columbia Presbyterian) on 168th, but there’s a good mix of artists, professionals and people who have lived there a lifetime. It’s quite a gem! i’m not saying the address isn’t hot, just that the location is not the upper west side. what with the river view, that location is fantastic. riverside has so much less traffic, it’s a quiet street to live on. although, i lived right next door to the gwb. that was not quiet. Funny, my first thought when I saw them enter 204 Riverside was…hey, there’s a building across the street!…and we know that Riverside Drive in on the Park! Loving this show! When I see him I always think back to “The Wedding Date!” Can’t wait to see this show progress. I’ve also got a friend moving back to NYC to 220 Riverside and he was super excited to see the Riverside address in the show! Another beautiful Townhouse. I love it. Thanks for sharing this home with us. I love townhouses. My favorites are the historical ones. The townhouse is awesome – although what that ottoman is doing stuck in the dining room in there is a mystery. It has no purpose – is low to the ground and looks like something you’d trip over on your way out the door. Here is my problem though – how can they afford that place? I’m from NY. Do you know how much money you have to make to purchase, pay taxes and do the upkeep on a place like this? Her husband tonight said he was a science teacher – and has been unemployed for 2 years or something. She writes Broadway shows – a good living – but that kind of townhouse would be very expensive. It’s like the people in the show Friends who lived in large 2 bedroom apartments (with a patio!) but worked in a coffee house! Love the show so far – watched the second episode tonight. I’m not sure how they will sustain this for many seasons however – it seems kind of obvious – not a lot of mystery. That said Deborah Messing is terrific – a well developed character with an incredible townhouse! It’s always puzzled me, too, why writers put their characters in homes that, in real life, would be way beyond their means. You would think that they would want to keep the premise as realistic as possible. I’ve only seen the premier episode so far but it looks like it might be interesting enough to garner a following. 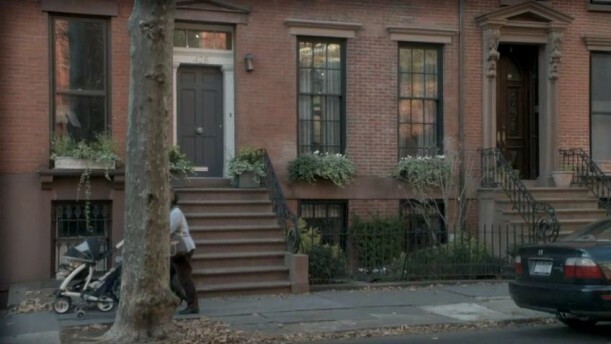 Haven’t seen the show and I live in the south and have never lived in NYC, but surely these sets resemble homes priced in the millions, or at least way above the means of the characters? TV fantasy land, once again. I guess the watching public doesn’t really want too much reality in their sit-coms and dramas. If you want reality in a TV sitcom, watch “The Middle”, it is delightfully real. Nothing matches, nothing is “decorated”, the furniture looks old and worn, it’s always messy and looks like a typical American home interior, maybe a little worse. I love “The Middle” too. So funny. In Smash, I was thrilled to see the colorful (blue/orange..) pillow on Tom’s couch. I drove 2- 1/2 hrs to Ikea to buy this $10 pillow for my couch when I saw it online last summer. Had to have it. Luckily, I keep a running list of other stuff I need, so it wasn’t all for the pillow, but I LOVE it! 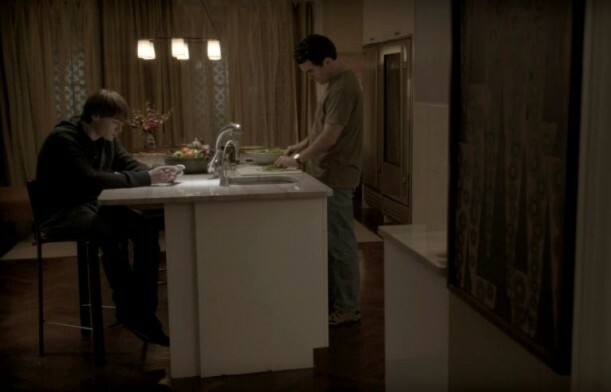 I’m always amazed at how roomy the apartments are in theseTV shows. I fell in love with the rust-colored couch in Tom’s apartment that Julia was lying on. Does anyone know how to find out who the manufacturer is? Washington Square Park. the interior is likely a stage set in LIC or Queens. 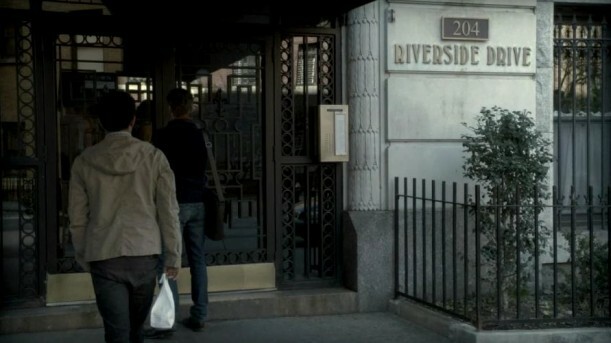 also, 204 Riverside may or not actually be 204 Riverside, sometimes art department creates fake street names or numbers. It does look like the same one. Thanks, Kevin! 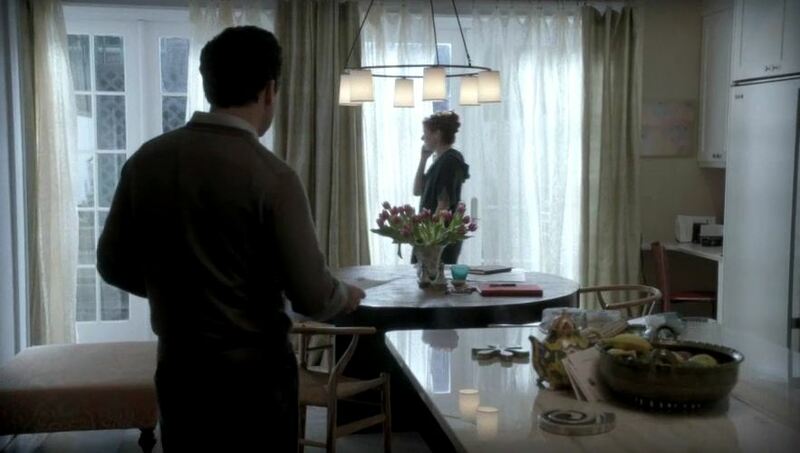 The hanging light above their dining room table is just what I need – where can I find it? I don’t know. Take a photo of it to a lighting store and ask if they recognize it! Where can I find the bedding in Ivys bedroom? I have searched the Internet but can find nothing. Im DYING to find out what wallpaper is used in Debra messings office behind the couch. Anyone know?? Great post! Fell in love with the orange paisley fabric on the chairs in Angelica Houston’s apt. can you tell me where or whose it is? thank you. I haven’t been able to find photos of Eileen’s apartment but if I work off memory I think that the fabric on one of the chairs is the same as the fabric on a throw pillow I have on my couch. I got mine from a little place in High Point, NC called Bless Your Nest which is owned by the same people as Younger Furniture. I could assume if they used the fabric for a pillow they can use it for a chair! Hope this helps! 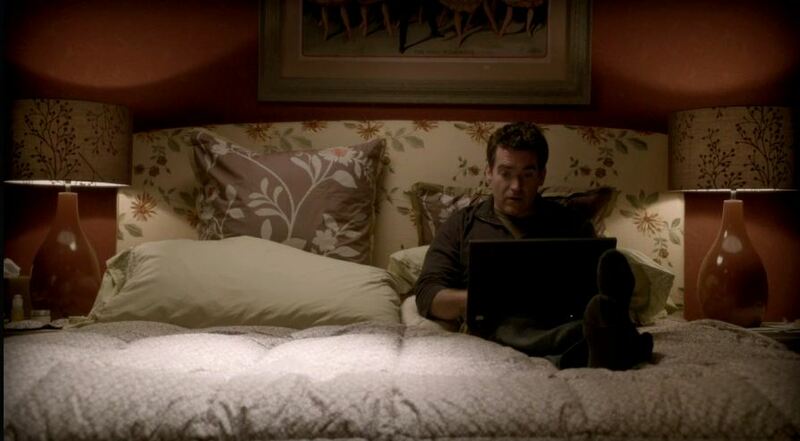 I absolutely LOVE the bedding in Julia’s (Debra Messing) bedroom – anyone recognize it or point me in a direction? 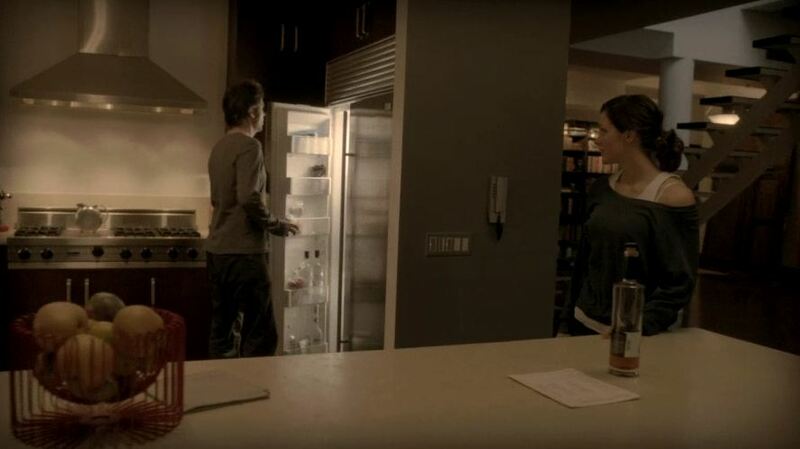 Do you know what the kitchen counter is made of in Julia’s apartment? Love it with the glass tile backsplash! 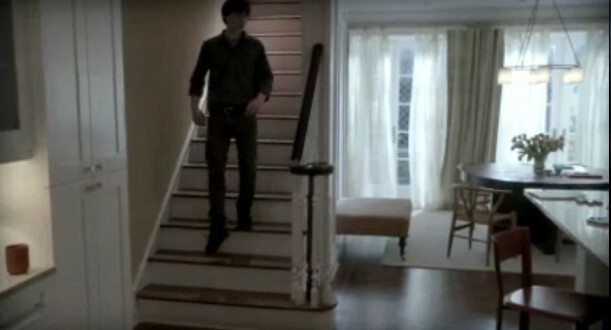 Does anyone know where those fabulous black/white pillows came from on tonight’s episode? 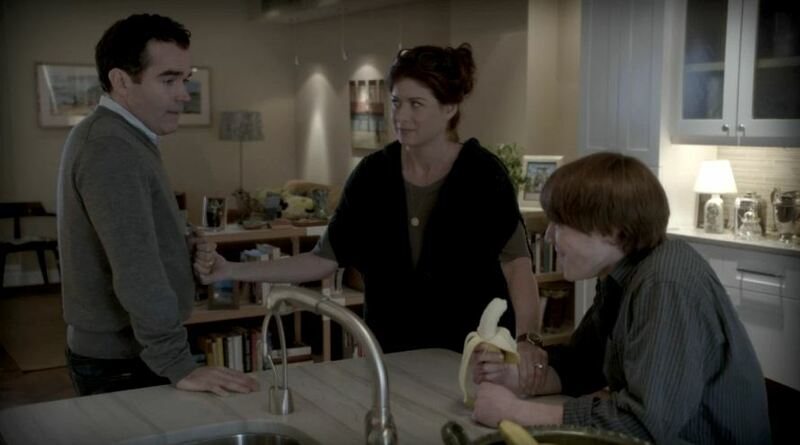 They were in the apartment where Debra Messing’s writing partner (and his date) were having drinks! Anyone know who makes (or where I can buy) the armchair with the contrast piping in Tom’s living room? Saw it a lot last night when they all had a powwow with Uma Thurman’s character, loved it!